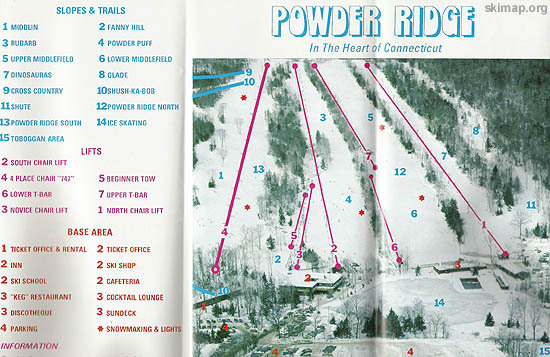 Shortly after the failed Powder Ridge Rock Festival, the ski area rolled out expansion plans to the local community. 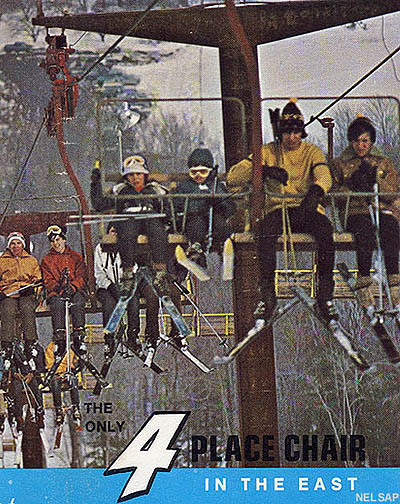 Marketing efforts quickly accelerated, advertising a new four person chairlift and slope for the 1970-71 season. In October of 1970, the Middlefield Planning and Zoning Commission rejected a permit request for the expansion. The commission then issued special permit in early 1971. Construction started in 1971, prior to being halted that fall due to a lawsuit with the Meriden YMCA over ownership of some of the land. 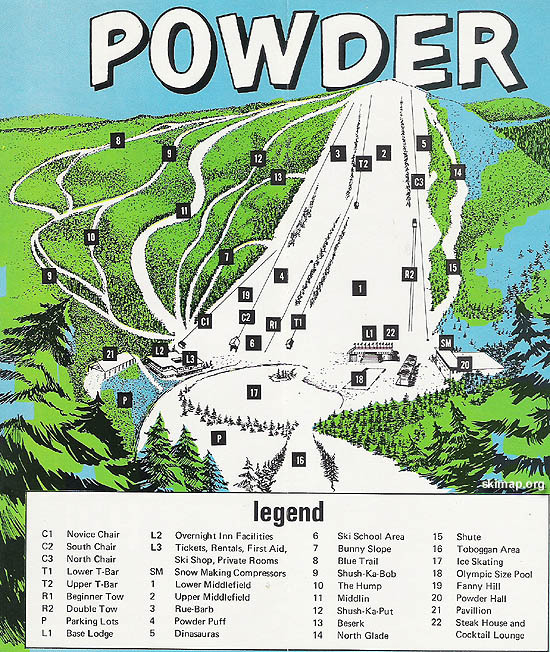 After a prolonged legal battle, the Powder Ridge was able to complete work and open the area in 1972-73. The South Area included a widened Middlin trail, overtaking the Shush-Ka-Put trail. 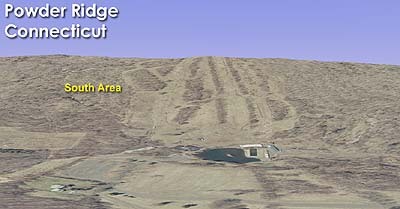 Beyond the big slope, the centerpiece of the expansion was the installation of a Borvig fixed grip quad chairlift - the first four person chairlift in New England. Named the "747," the quad was of a centerpole design. 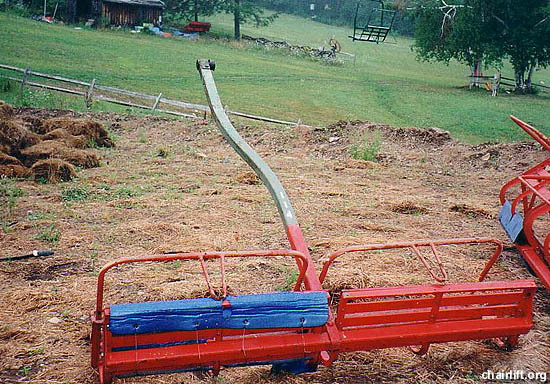 The center pole chairs were removed in 2001 and replaced with triple chairs.